Mary Katherine Hamm: "Hope nobody missed leg day...."
So much for "Game Over" and "Total Vindication"
ANNAPOLIS (April 16, 2018)—The Maryland Transportation Authority is exploring phasing out all cash toll booths across the state. Today, tolls are collected three ways: by cash, or electronically, by either an E-ZPass transponder or by video tolling—when the state uses a license-plate photo and mails drivers their bill. Transportation officials say that the transition to all-electronic, high-speed toll collection will: save drivers time on their commute, save the state money, reduce accidents at toll plazas, and reduce CO2 emissions as less fuel is being burned, according to a national study by the University of Central Florida. Drivers in Maryland could start seeing new plazas that only collect tolls electronically at highway speeds by the summer of 2019, said Kevin Reigrut, executive director of the Maryland Transportation Authority. However the state has no specific timetable or budget for all-electronic tolling at this time, Maryland Transportation Authority Communications Director Cheryl M. Sparks told Capital News Service. The transition would also mean that anyone driving on Maryland toll roads could soon need an E-ZPass to avoid paying higher fees, and 218 toll operator positions will be phased out across the state. 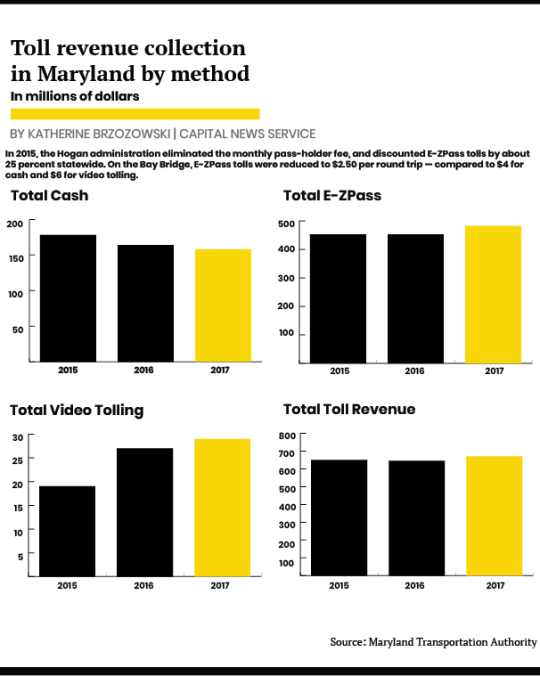 If you pay using video tolling, Reigrut said, you pay 1.5 times the base rate for that road—and if drivers don't have an E-ZPass by the time Maryland's electronic tolls are phased in, that's the price they'd pay across the state. This means that drivers from other states who use Maryland roads will be forced to pay more if they don't have an E-ZPass by the time of the transition. As part of the transition, which has been a strategic goal of the transportation authority since 2004, the state has eliminated the monthly fee and offered toll discounts to pass holders to prompt more Marylanders to buy an E-ZPass, Gov. Larry Hogan said at a Board of Public Works meeting Feb. 21. Drivers who use E-ZPass save 25 percent at tolls on all but two roads across the state and 37.5 percent on the Chesapeake Bay Bridge, compared to paying cash, said Reigrut. The two exceptions are the Intercounty Connector and the I-95 Express Toll Lanes, which already reflect the cost savings, and already collect tolls electronically at highway speeds, via video tolling or E-ZPass. The state has already seen the advantages of all-electronic tolling facilities at the Intercounty Connector—the second-most used toll facility and the quickest route for commuters who are traveling east-west across the state. This is because drivers can travel through tolls on this road at highway speeds. The discount was funded by a $270 million toll relief incentive over 5 years by the Hogan administration in July 2015—the first time tolls have been cut across the state in 50 years—according to a May 7, 2015, press release. "There is no better time to be a Maryland E-Zpass customer than right now," Reigrut told Capital News Service. The budget is still under development for the entire All Electronic Toll project, Reigrut said, but the initial contracts were approved by Maryland's Board of Public Works on Feb. 21. Sparks explained that the contract does allow for all-electronic tolling but a start date has not yet been set. The two, 13-year option contracts totaled more than $360 million—$89 million to Kapsch USA Inc. for tolling systems and services and $273 million to Transcore LP for customer service center services. A toll increase isn't likely when the all-electronic tolls are entirely phased in, Reigrut said. In the long term, Reigrut said, there will be cost savings as a result of this project because there won't be a need to pay for toll collector salaries and benefits, armored cars to transport money to secured rooms at the transportation building or for significant auditing functions relative to using cash. The transition would phase out 218 toll collector positions over the 13-year contract, and the transportation authority is no longer hiring for the positions, Reigrut said. They will be using temporary employees to fill vacant positions to minimize the number of employees affected by the project. As toll facilities are converted, collectors will be given the opportunity to serve at nearby toll plazas, and can apply for other jobs within the state, Reigrut said. The transportation authority's approach to the project is to address one to two facilities at a time, starting with toll plazas that have the highest number of people who already use E-ZPass. 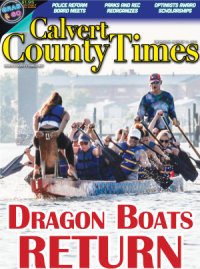 The first two areas that will be prioritized are the Thomas J. Hatem Memorial Bridge in Cecil County—where 93 percent of those who cross use E-ZPass—and the Francis Scott Key Memorial Bridge on I-695 in Baltimore County—where 78.5 percent of those who cross use E-ZPass, according to Reigrut. There will "never" be an issue where lanes will be closed during the all-electronic transition, and any work that requires traffic changes will occur in off-peak hours, said Reigrut. The all-electronic toll conversion at the Key bridge will not be completed by the start of the I-895 project, and therefore won't offer traffic relief at the onset. I-895 has two safe, but "structurally deficient" bridges, according to Reigrut, that need to be rebuilt. The first stage of the project included reconfiguring the lanes leading up the bridges and began in March. The second phase of the project will begin around Thanksgiving of 2018 and will direct north- and southbound traffic across one of the bridges, knocking down and rebuilding the other, and then channeling the two-way traffic across the new bridge while the second is completed, according to a Dec. 21, 2017, press release by the transportation authority. The entire I-895 project is scheduled to be completed by 2021. In anticipation of the I-895 project, the transportation department announced a $49.4 million project in March 2017 to reconfigure 4 miles of I-95 roadway, north of the Fort McHenry Tunnel, by the summer of 2018, according to a March 31, 2017, press release by Maryland's Department of Transportation. According to Reigrut, facilities undergoing change will start with the installation and coverage of signs to signal the cashless transition. Then, at existing toll plazas, booths will be converted for non-cash operations to encourage drivers to keep moving without stopping, and overhead tolling equipment will be built and activated. Finally, the old equipment will be turned off and the booths themselves will be gutted, one to two booths at a time, and the roadways will be reconfigured. For example, 10 toll lanes that merge to two lanes on a bridge will see new speed limit signs, new road striping, and construction to narrow the road to a consistent two-lane approach to the bridge. Though drivers can start to see non-cash toll at some plazas within the next year, the Customer Service Center system cannot transition into the new system until all the toll lanes across the state have been transitioned, according to state documents. Customers will start seeing these changes two years into the project start, Reigrut said. 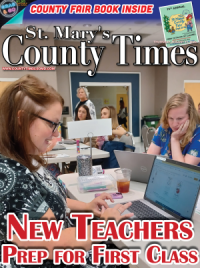 Customer service improvements will include a mobile app for payments, notifications and account management, a Web chat service, a modernized website and a content management system, according to state documents. Customers will also have the ability to transfer video tolls to a prepaid account and receive faster notification. A "robust" system will also be implemented for toll users who have credit issues or have missed paying their mailed video toll charge, Reigrut told Capital News Service. Today, E-ZPass has slightly more than 1 million customers in the state, which has a population of about 6 million people. In 2017, 78 percent of toll transactions—including out-of-state drivers—were recorded using EZ-Pass, Reigrut said. The transportation authority expects to engage in nine to 12 months of "aggressive public outreach" to notify Maryland drivers of facilities they will be converting, said Reigrut. This outreach would include attending city council meetings in person, posting information online, direct marketing and paying for radio and billboard advertisements. John Townsend, AAA's public affairs manager in the District, said he worries about the people who don't have E-ZPass and agrees that there needs to be an aggressive marketing campaign to create awareness for the transition. Out-of-state drivers, who are not from E-ZPass states, often use the Bay Bridge; and the Baltimore tunnels will be most vulnerable to this change, because outreach is only happening in-state, Townsend said. When Virginia began converting Route 66 inside of the Capital Beltway to electronic lanes, the Virginia Department of Transportation engaged in marketing and also increased the number of vendors selling E-ZPass transponders, said Townsend. In Maryland, the transportation department is using a similar strategy—selling E-ZPasses at the cash toll booths, in some supermarkets, and on their website when drivers register their vehicle. "You'd have to work hard not to get this information," Reigrut said. Today, Delaware, Illinois, Indiana, Kentucky, Maine, Maryland, Massachusetts, New Hampshire, New Jersey, New York, North Carolina, Ohio, Pennsylvania, Rhode Island, Virginia and West Virginia use E-ZPass. The restaurant offers a unique atmosphere and a fine dining experience. The Golden Rule Funeral Home, serving all of Southern Maryland.